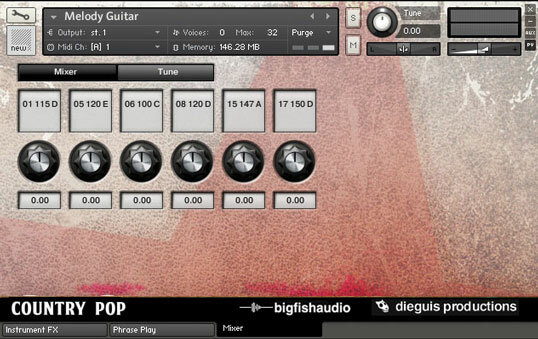 The Full version of Kontakt 5.3.1 or higher is required to use the KLI version of this product. This product does not work with the free kontakt player. 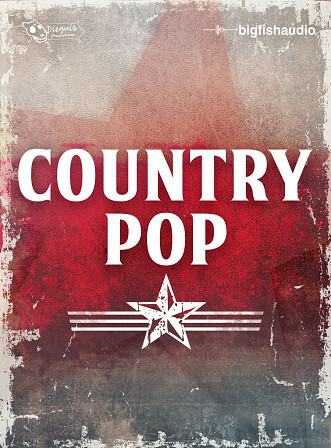 Country Pop contains 5.1 GB of multi-track drums (24-bit WAV files) from every song kit in the library for you to mix n' match, remix, and adjust anyway you like it. 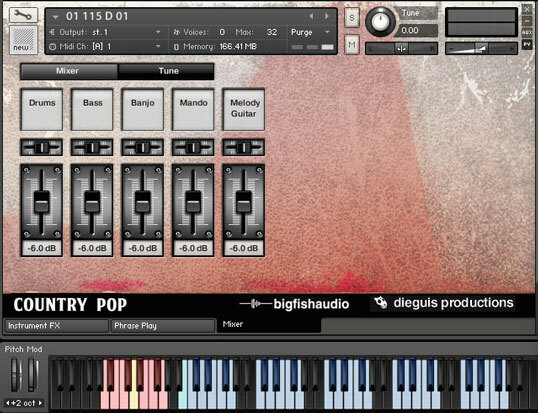 Country Pop also contains DAW sessions for each kit in the library (full multi-drums, multi-drums, and stereo) giving you the freedom to create quickly and easily. 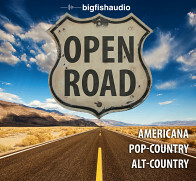 Country Pop comes in the following formats: Multi-Format (Apple Loops, REX, WAV, RMX, Acid and DAW Sessions) and KLI (Kontakt 4 and 5 Instrument). Explore your inner songwriter, create tracks never before realized, and make music that stands out! Drum Elements (SEPARATE PURCHASE) is a 1.6 GB (606 MB of 24-bit WAV files) collection of grooves, loops, hits, and one-shots that give you the freedom to create amazing drum grooves quickly and easily. 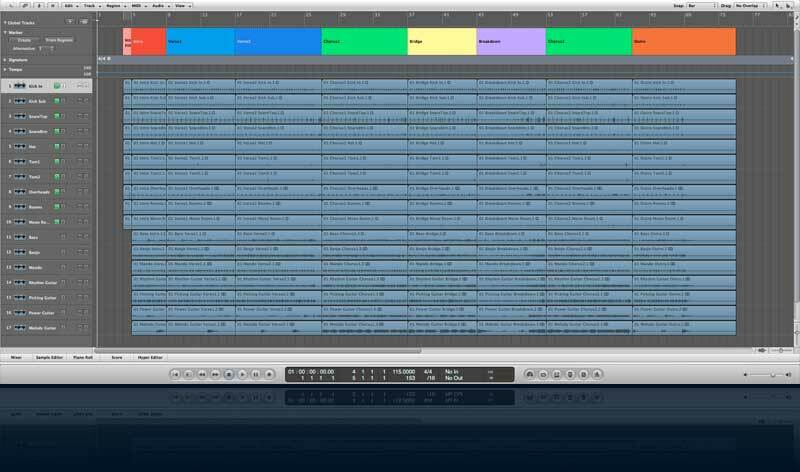 The Drum Elements contain individual drum kit pieces (kick, snare, hi-hat, toms, cymbals, etc) that you can use individually or mix n' match to create an unlimited variety of drum grooves and rhythmic textures. There's also an enormous selection of drums hits and one-shots. 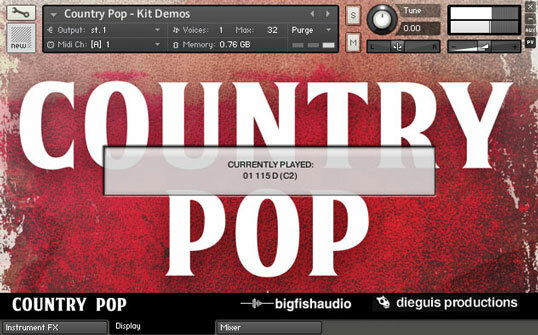 Country Pop has been formatted in today's most popular file types: ACID, Apple Loops, REX2, RMX, and WAV. 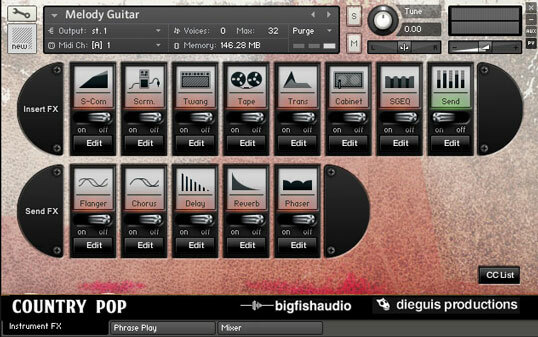 With these formats, you can work with every major sampling/looping device on the market! Every file has been carefully edited to loop perfectly without any complications. Take advantage of the additional information and tagging using Apple Loops with Garage Band, Soundtrack, or Logic. 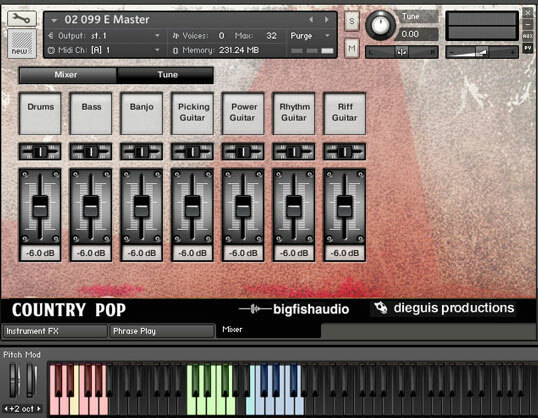 Edit and rearrange your grooves with the REX2 file flexibility. 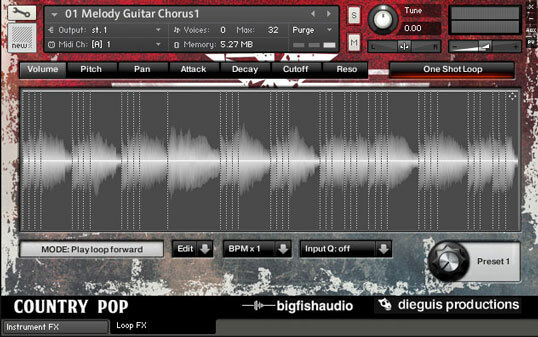 Create flexible tracks with RMX. Stretch the ACIDized WAV files in Sony's ACID Pro. And, of course, the industry standard WAV files can be loaded into almost any digital audio or sample playback program. 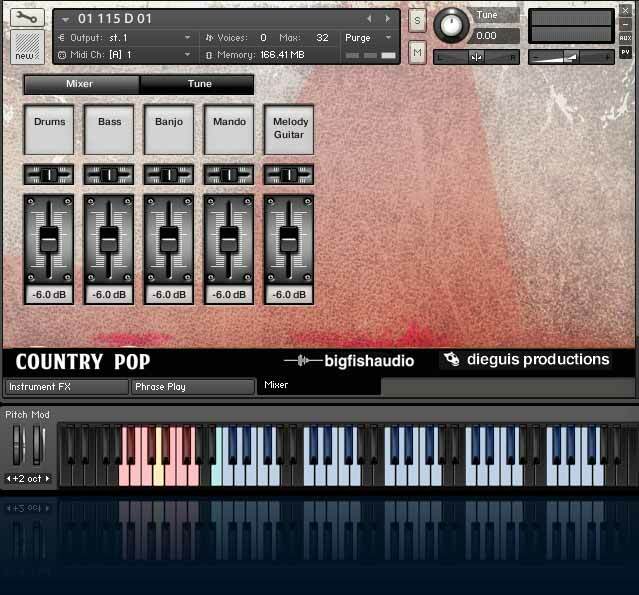 Country Pop also includes complete DAW Sessions for Logic, Pro Tools, Cubase, and OMF which can be imported and used by every major DAW workstation. 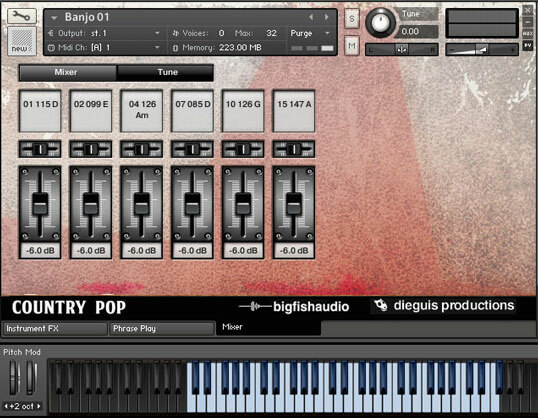 Country Pop Drum Elements is an massive 1.6 GB (606 mb of 24-bit WAV files) collection of Grooves, Loops, Hits and One-Shots that give you the freedom to create amazing drum grooves quickly and easily. Drum Elements contains individual drum kit pieces (kick, snare, hi-hat, toms, cymbals; etc) that you can use individually or mix n match to create an unlimited variety of drum grooves and rhythmic textures. There's also an enormous selection of Drums Hits and Velocity One-Shots. The Following End User License Agreement is included with Country Pop. This License is only valid for the individual who has purchased an unopened, new and lawfully made copy of Country Pop from a dealer or distributor authorized by Big Fish Audio.